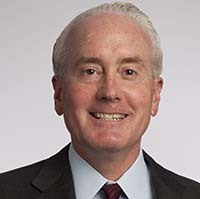 David Hiller AB '75, JD '78 is President and CEO of the Robert R. McCormick Foundation, one of the nation’s largest philanthropic foundations. The McCormick Foundation’s mission is to foster communities of educated, informed, and engaged citizens. Through grant-making programs and the gardens and museums at Cantigny Park, the Foundation helps strengthen families and communities in Chicagoland and Illinois. Previously, David spent 20 years in the news business with Tribune Company, including as Publisher of the Los Angeles Times and, before that, Publisher of the Chicago Tribune. A native of the Chicago area, David graduated from Maine Township High School.